With Dublin based skincare brand Pestle & Mortar and the Superstar Retinol Night Oil! An oil that works whilst you sleep?? YES PLEASE!! And it works too! I first heard about Retinols through the queen of skincare Caroline Hirons. I had an idea about their importance; Vitamin A for someone over 30 like me, is a must! It helps with dehydrated skin, open pores. and fine lines. Packaged in an airtight black container, a little of this night time wonder goes a very long way. My skin is really topsy turvy at the moment, and it needs all the help it can get. Cold pressed, organic rosehip oil, carrot oil and sunflower oil are all excellent anti – ageing oils. Together they stimulate cell growth and repair damaged skin. 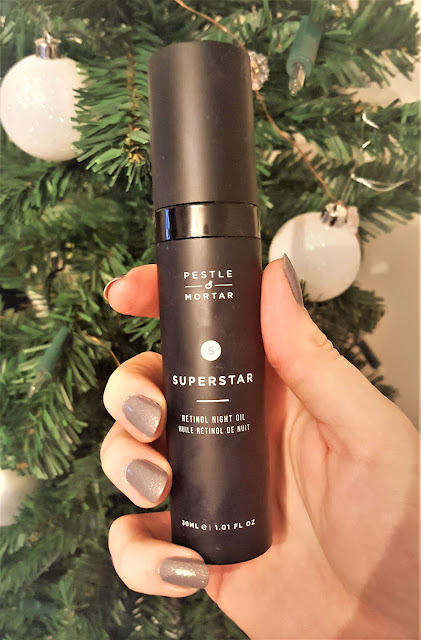 Upon first use, I woke up to calmed, revitalised skin that thanked me for the night before application of the Superstar Retinol Night Oil. 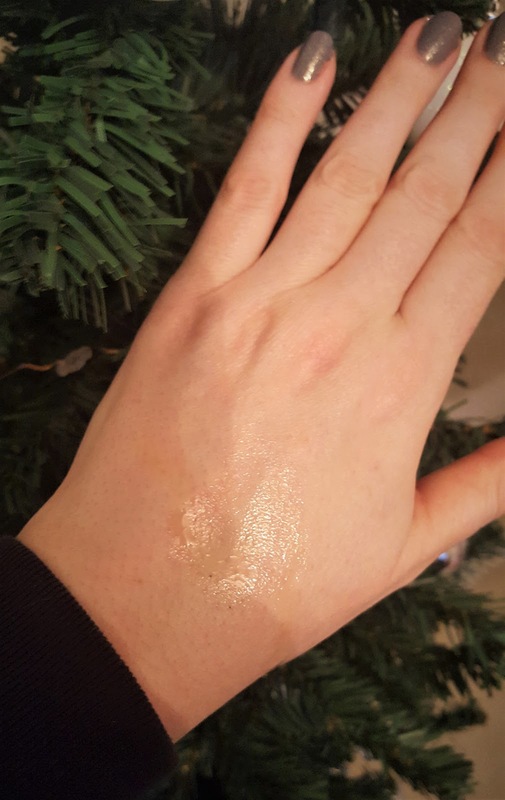 I even found that my foundation the next morning went on better!Caroline Hirons doesn't lie! (you all knew this already though 👌) Vitamin A has taken a permanent place in my skincare routine, and this fabulous oil is a must have for someone with ageing skin like myself. 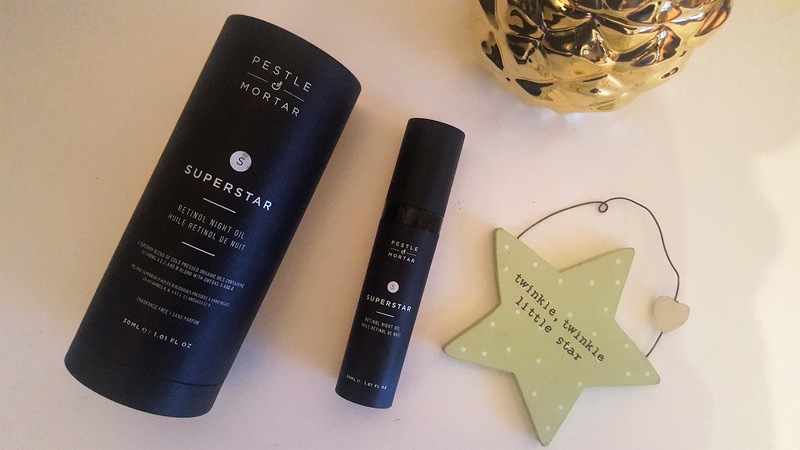 Have you heard of Pestle & Mortar before? They are fast becoming my new skincare brand!